Are you looking for a responsible rubble removal company to help you with site clean ups? Are you a domestic client who needs some affordable rubble removal in Centurion service provider to collect the accumulated litter regularly or on a one-off project? Worry no more. We are the right answer to your problem. We respond fast, have the right tools and our price tags are both sensible and manageable. Regardless of whether you need residential, commercial or industrial help, our team of adequate and efficient professionals will always be more than enough. Equipped with the best tools for the job, they have the means and the drive to get rid of the rubble within the stipulated time. We are time conscious and work hard to deliver on time. 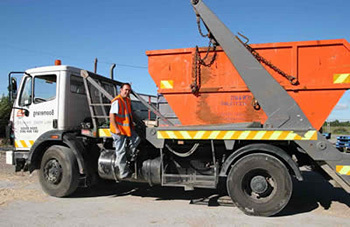 We pair our site clearance services with waste removals for a reasonable price. Get in touch to day on 012 004 1846. A professional and friendly team at the customer care desk who will pass your request to an equally enthusiastic ground team to get the job done within the shortest time possible will serve you. In addition to collecting and disposing off rubbish, our rubble removal centurion company provides garden refuse removal services. Get in touch today. Let the experts help take care of all your site clearance after demolition work – call now for a free quote!